Quark (or qvark) is a fresh cheese of East European origin. Dictionaries usually translate it as curd cheese. It is soft, white and un-aged, similar to fromage frais. It is not the same thing as cream cheese or cottage cheese. 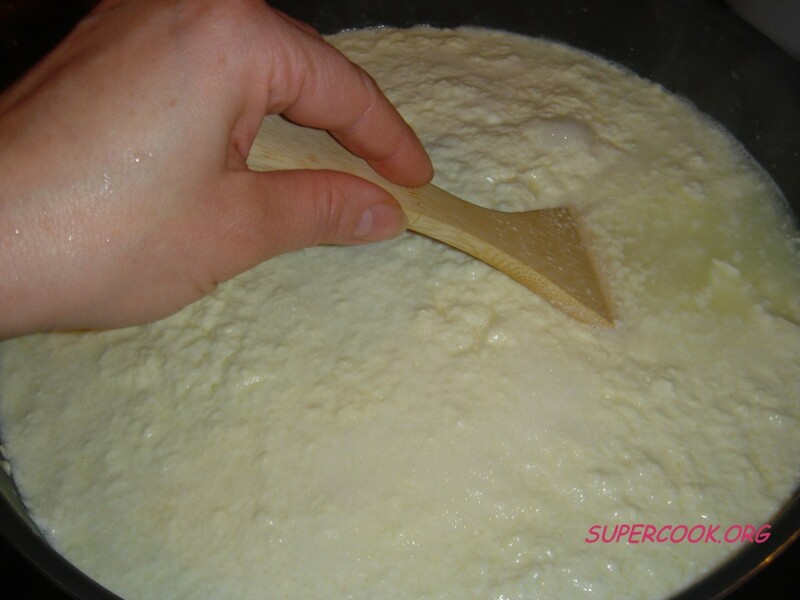 It is distinct from ricotta because ricotta (Italian: recooked) is made from scalded whey. It usually has much lower fat content (about the same as yoghurt) than cream cheeses and has no salt added. The name comes from the German Quark, which in turn is derived from the Slavic tvarog, (Polish twaróg, Belarusian тварог, Russian творог, Czech and Slovak tvaroh) which means "curd." Quark is a member of the acid set cheese group, meaning it is traditionally made without the aid of rennet. In dairies today, it is made with rennet. Because quark is consumed without aging, in the United States the milk must first be pasteurized. 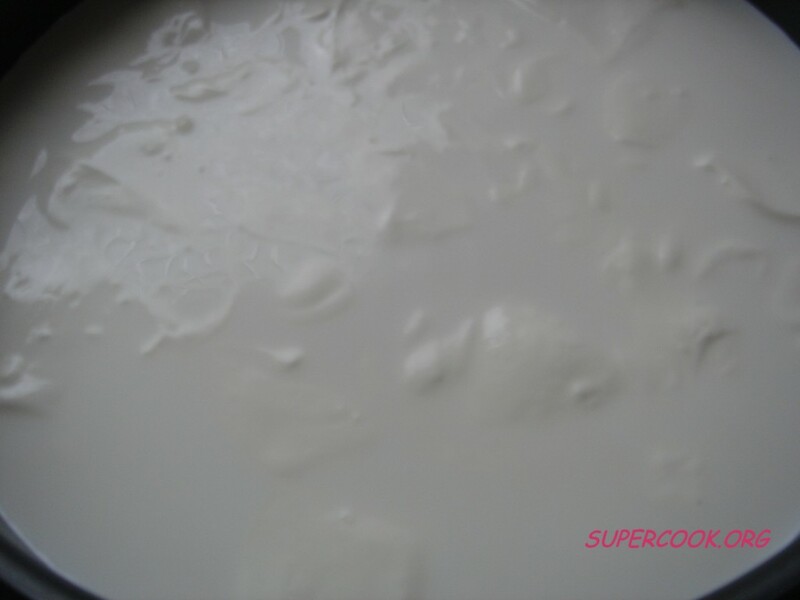 Once the milk is ready, lactic acid bacteria are added in the form of mesophilic lactococcus starter culture. Acidification continues until the pH reaches 4.6, which causes precipitation of the casein proteins. In Germany, the curd is continuously stirred to prevent it from getting hard, resulting in a thick, creamy texture. Quark is usually sold in plastic tubs with most or all of the whey. 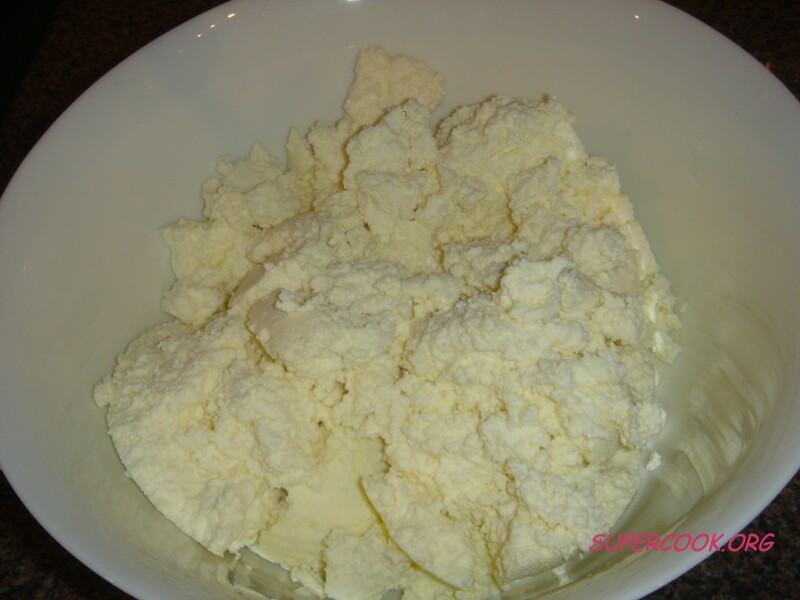 This type of quark has the firmness of sour cream but is slightly drier, resulting in a somewhat crumbly texture (like American ricotta), and contains in its basic form about 0.2 % fat. Quark with higher fat content is made by adding cream, and is often sold flavored with herbs, spices, or fruit. 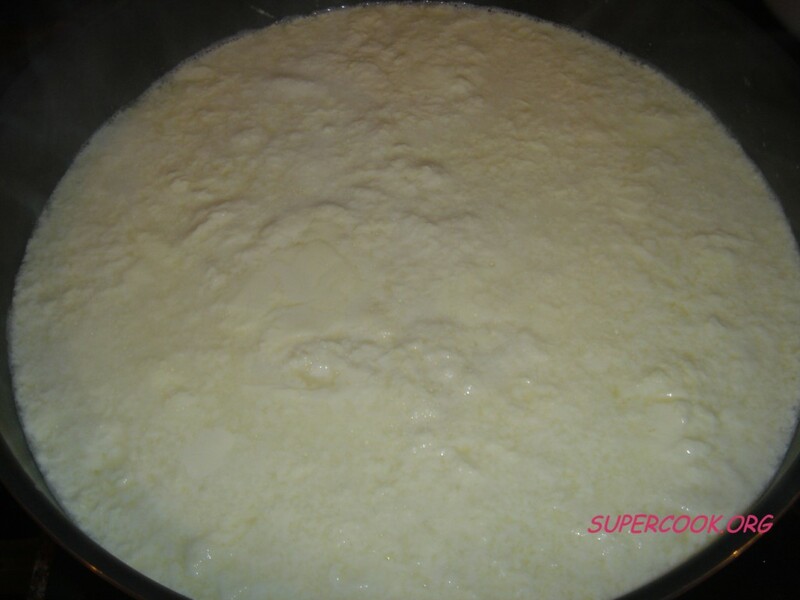 To make the firmer eastern European version, a small amount of rennet may be added to make the curd firmer. Some or most of the whey is removed to standardize the quark to the desired thickness. 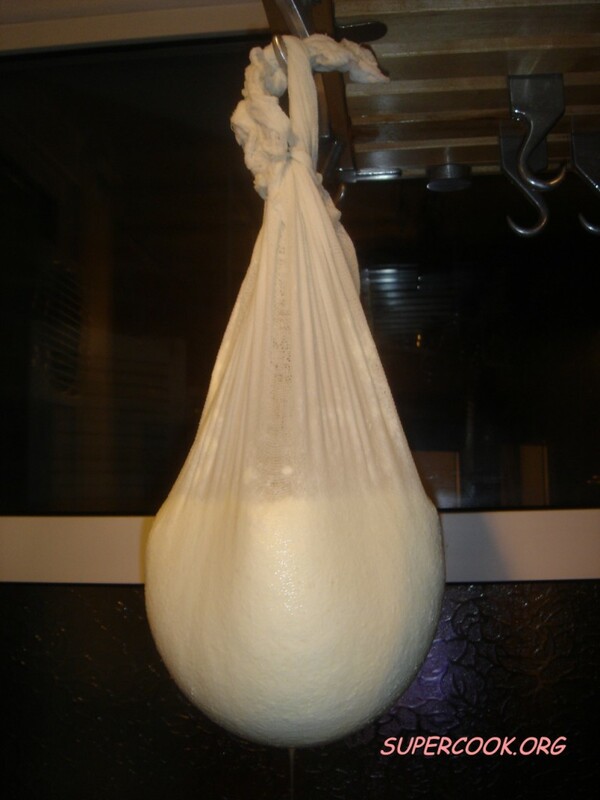 Traditionally, this is done by hanging the cheese in loosely woven cotton gauze called cheesecloth and letting the whey drip off, which gives quark its distinctive shape of a wedge with rounded edges. 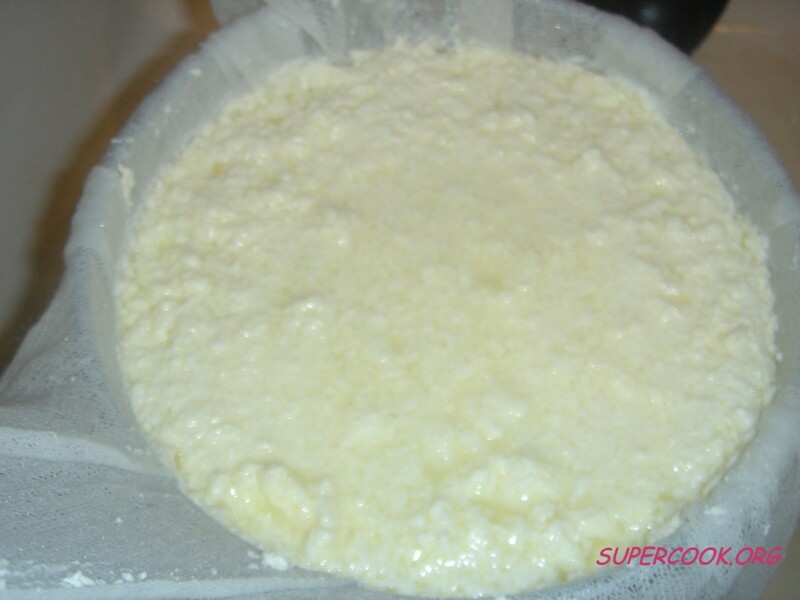 In industrial production, however, cheese is separated from whey in a centrifuge and later formed into blocks. Left: Hanging the cheese to remove excess whey. The Polish, Lithuanian and Austrian varieties contain less whey and are therefore drier and more solid than varieties common in other countries. In Russia (and in almost all former USSR countries) quark is known as tvorog (Russian: творог). This type of fresh white cheese is highly popular and is bought frequently by almost every family. As a result, tvorog is a member of the official minimal basket of foods. 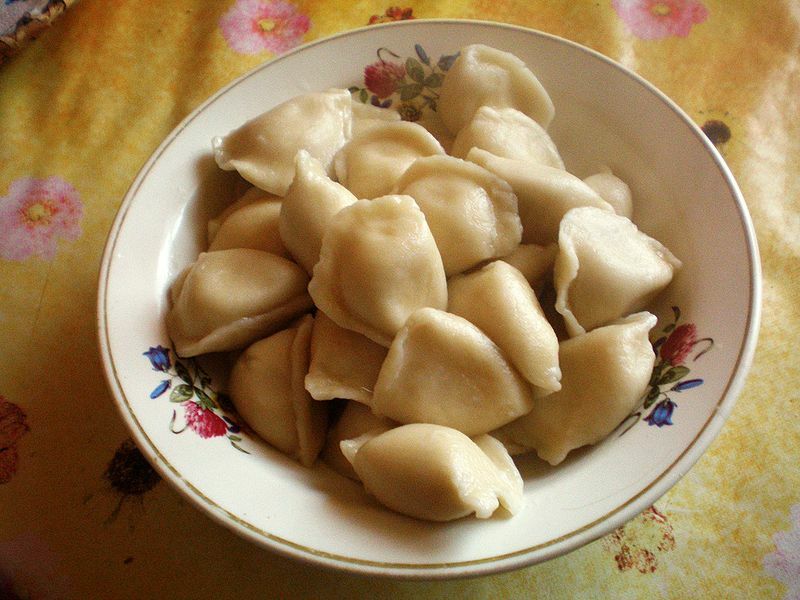 Left: Ukrainian Vareniki. They are like Russian Pelmeni, but with Quark filling (particularly). Quark is commonly used for cooking. Various cuisines, especially cuisines of former-USSR countries (e.g. Russia, Ukraine, Belarus) feature quark (fresh white cheese) as ingredient for appetizers, salads, main dishes, side dishes and desserts.